Become an apprentice - A handy overview of everything about apprenticeships, including what to expect, levels of apprenticeship, pay and training, how to make an application and more. 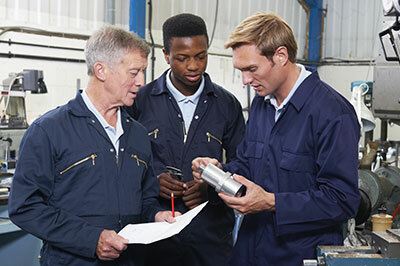 Find An Apprenticeship - The government's national website for searching and applying for current apprenticeship vacancies at all levels across England. Find A Traineeship - The government's national website for searching and applying for traineeship vacancies across England. National Careers Service - Information, advice and guidance for people of all ages on learning, training and work. What Employers Want - A website aimed at young people containing direct advice from businesses about what they want and expect from job applicants. Not Going To Uni - Advice and information for school and college leavers on opportunities that exist outside of traditional university study, such as apprenticeships. What Next at 14, 16 and 18? [pdf] - A guide aimed at parents/carers/teachers, to offer guidance to young people from age 12 about the range of options available to them. Youth Employability Service - The YES offers a free, impartial and confidential service to young people in East Sussex, age 16-18, who are unsure about what they want to do in terms of education, training or work. They also help those who are about to finish a course or an apprenticeship and haven’t planned what to do afterwards. BEACH - Free local employability advice in the Brighton & Hove area. PATHWAY - Free local employability advice in the Coastal West Sussex area. TAKE OFF - Free local employability advice in the Gatwick area.